In the financial industry, we are in a constant state of change. And, the future appears it will not be any different. A colossal shift from old to new technology (mutual funds to exchange traded funds or ETFs) is underway, a new breed of ETFs are “smarter” (smart beta/factor ETFs), advisors are being forced to look at the way they do business (commissions or fees), and clients now ask more than ever for advice, which introduces different types of benchmarking (goals-based investing). Why do these changes matter? They will affect the way advisors build portfolios and conduct due diligence, potentially marking a shift toward advisory fee-based business, and challenge the way advisors interact with their clients. If advisors can embrace these disruptions, they will have a chance to not only survive, but to grow their businesses. ETFs have gathered large pools of assets every year; while mutual funds, their older, but larger, counterparts have bled assets. In 2015, ETFs had net inflows of about $240B, while mutual funds had net outflows of $125B. ETFs are relatively new. 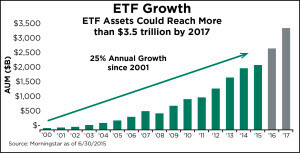 State Street Global Advisors (SSGA) launched the first ETF in 1993, but they have exploded in growth and popularity in the last decade (see chart below). We believe the tremendous growth of ETFs is a trend that will continue for years to come. With an explosion of growth in assets and new products comes additional responsibility for anyone investing their client’s hard-earned money in ETFs. CLS is no exception. We take our fiduciary responsibility very seriously and have extensive research tools and human capital invested to ensure we don’t miss a beat. We want advisors and their clients to rest easy knowing we have a firm grip on what’s happening in the industry, where it is headed, and what it can mean for investors. We believe ETFs offer several advantages over mutual funds and are just flat out a better technology. Extreme growth in assets also generates good questions on how to implement ETFs and utilize ETF strategists. As CLS’s Chief Strategist Scott Kubie, CFA, wrote recently on ETF.com, there are segments of the investing public that approaches both in the wrong way. What’s So Smart About Smart Beta? CLS is one of the largest ETF managers in the nation, and we believe in the power of these well-established academic philosophies of smart beta ETFs (see below) to fortify risk management and potentially enhance returns. CLS is embracing these philosophies, which drive the effectiveness of smart beta. 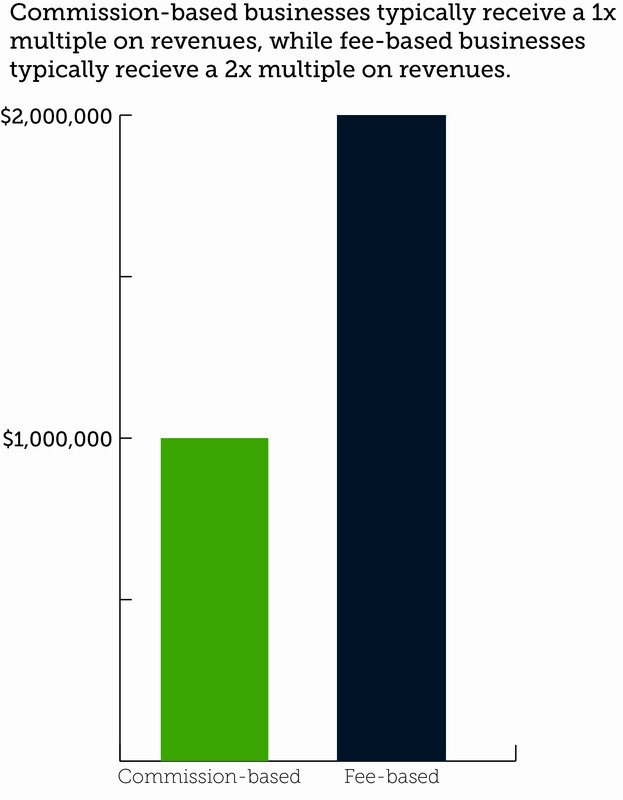 We have about 30% of our AUM in smart beta, above the industry average of 20%. We believe factor-based analysis and smart beta ETFs will become increasingly important in the years ahead. Undoubtedly the most talked about, written about, and probably even shouted about disruptor this year is the U.S. Department of Labor’s (DOL) standards on fiduciary practice. Its final ruling is anticipated any day now, and it is should be in place before year end. We feel there will be a tremendous shift from commission to advisory-fee business as a result. Fee business is nothing new (CLS has been a registered investment advisor since 1989), and it is often more attractive than commission business alone. 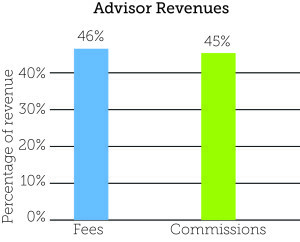 Studies from a recent CLS Advisor IQ paper show advisors can derive more revenue from fees than commissions, and a fee-based practice may be worth more (see charts below). Incorporating a fee-based model can allow advisors to provide an enhanced level of service to investors. 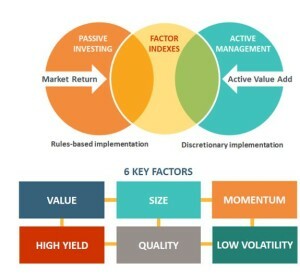 By outsourcing portfolio management, advisors can improve investors’ experiences. No matter which way the DOL rules, CLS will be here as a trusted partner to help advisors make tough decisions. One persistent challenge for advisors is answering questions from investors about performance versus benchmarks, whether it’s the S&P 500, Russell 2000, or real estate. The challenge is, and will always be, to help investors focus less on benchmarks (that encourages them to chase performance) and more on whether their portfolios are helping them achieve their goals. Goals-based investing allows advisors to discuss the ways recent performance fits in line with their clients’ bigger retirement picture, instead of comparing it to a benchmark that may not fit their objectives. The better clients understand their long-term goals, the better chance we have to keep a happy client. And that is something that should not be taken for granted. CLS recognizes there are many obstacles facing financial advisors, clients, and the industry in general. But there always will be. Challenges bring opportunities; I’m a true believer in that. Today’s challenges will offer plenty of opportunities for financial advisors to adapt, survive, and eventually grow their businesses to be even stronger. Throughout, CLS will be here to empower financial advisors. The views expressed herein are exclusively those of CLS Investments, LLC, and are not meant as investment advice and are subject to change. Information contained herein is derived from sources we believe to be reliable, however, we do not represent that this information is complete or accurate and it should not be relied upon as such. This information is prepared for general information only. The graphs and charts contained in this work are for informational purposes only. No graph or chart should be regarded as a guide to investing. Past performance is not a guide to future performance. This post may include direct access or ‘links’ to other Internet websites. These sites contain information that has been created, published, maintained or otherwise posted by institutions or organizations independent of CLS. CLS does not endorse, approve, certify or control these websites and does not assume responsibility for the accuracy, completeness or timeliness of the information located there. Visitors to these websites should not use or rely on the information contained therein until consulting with their finance professional. CLS does not necessarily endorse or recommend any product or service described at these websites.